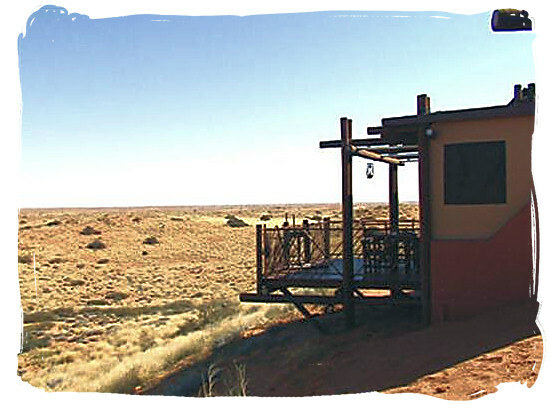 The relatively new Kieliekrankie wilderness camp is situated high on one of the Kgalagadi Transfrontier Park’s highest sand dunes, offering endless views of themagical red Kalahari dune fields, stretching to the horizon. The camp is situated a 50km (one-and-a-half hours) drive away from Twee Rivieren just off the Mata Mata route. The closest shop and fuel supply is at Twee Rivieren. 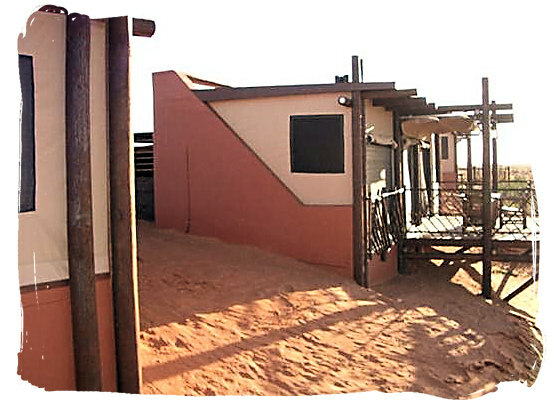 This unique self-catering wilderness camp is not fenced and for your safety an armed game ranger is permanently based at the camp. The accommodation units are accessed through a Lion proof entrance. The camp consists of four cabins made of brick and canvas, each one comprising a fully equipped kitchen with gas fridge and gas cooking plates, a bedroom with two single beds and a bathroom with shower. There is no electricity and therefore no air-conditioning. Overhead fans and lights are solar-powered. Outside you have a wooden deck with a “braai” (barbecue) and a stunning view. With the cabin perching high on a sand dune and the kitchen and bedroom having canvas flaps that can be rolled up, it feels as if you are staying in an eagle’s nest. 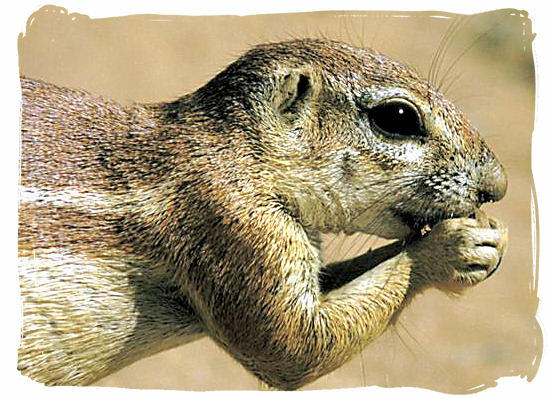 Each cabin has an unspoilt view over the camp's watering hole and its panorama of daily wildlife activity. The camp's attraction lies in its simplicity. Just sit and on the private deck from where you canwatch the passing of time and the antelope at the waterhole. 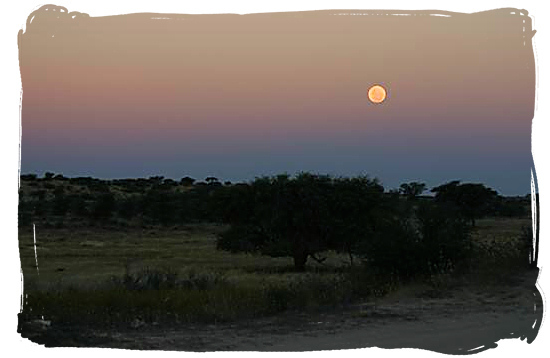 Then watch the colours of the fierce Kalahari sky change into a magnificent spectrum of red colours, before the night settles in. But remember, do not go outside your cabin unit after sunset. There is also plenty of game viewing to be done only 8km away, along the dry Auob river bed with its abundance of wildlife. "We stayed there 2 nights in March 2005. Did not see a lot except black back jackals at the water point, and something else, probably a brown or spotted hyena but it was too dark to be sure. Less than 2kms from the camp we have seen Oryx and Springboks, and about 10km a pride of lions with their kill, a "Gemsbok" oryx), just on the side of the road." "The game viewing around the camp has picked up a lot the past few weeks. 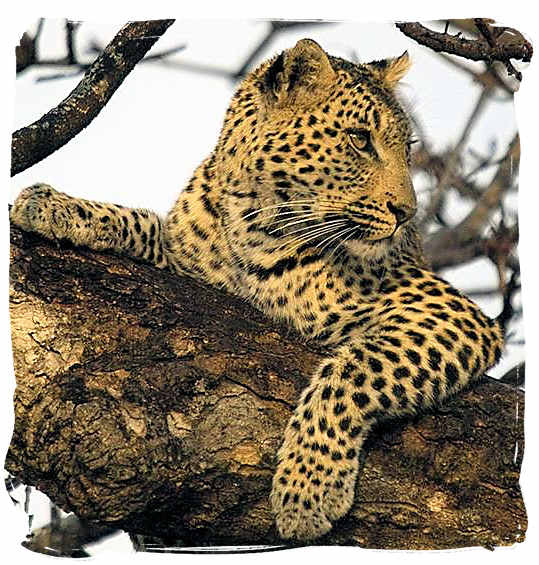 There is a resident leopard which has been seen on a regular basis and a young male lion has been seen frequently as he made kieliekrankie part of his territory. At the junction turning towards the camp there has been a few cheetah sightings and then the African Wild Cat with her kittens right at the camp." Go to SANParks.org to view accommodation rate and tariff details of Kieliekrankie rest camp on the South African National Parks (SANparks) organization’s website. Go to SANParks.org to book your reservation for Kieliekrankie rest camp on the official reservations page of the South African National Parks (SANparks) organization's website.